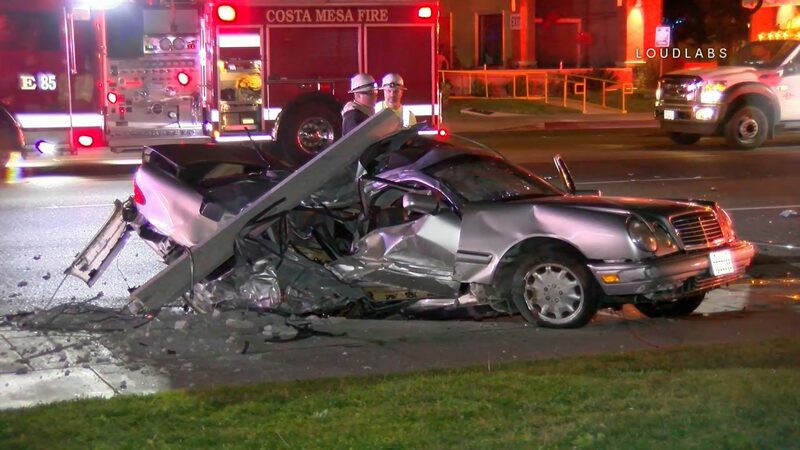 A suspected DUI driver wrapped their car around a light pole in the City of Costa Mesa overnight. The driver managed to escape severe injuries however the passenger was not so lucky and was taken to a local hospital in serious but stable condition. The cause is under investigation. WEST LA: Fire Destroys Auto Shop, Injures Two Firefighters.